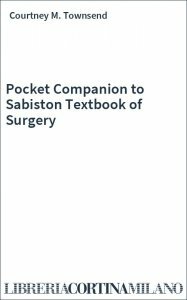 Convenient, portable access to the key information on each surgical topic covered in the encyclopedic, authoritative 17th edition of "Townsend: Sabiston Textbook of Surgery". Reflects all of the latest developments in field, including robotics, endovascular procedures, surgery in pregnant patients, ultrasound for surgeons, surgeon's role in disaster management, and emerging technologies. 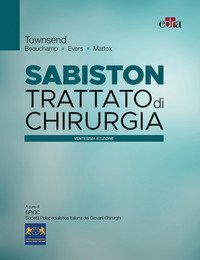 Excellent review book for ABSITE and board certification examinations. 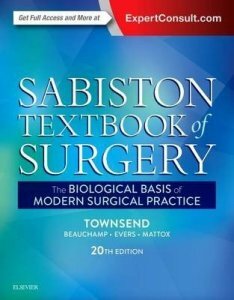 Ideal reference for medical students about to undergo their surgical rotation. 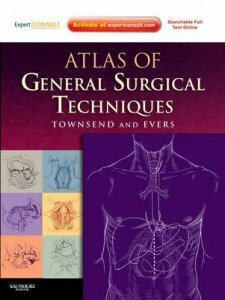 "Atlas of General Surgical Techniques" covers the full spectrum and breadth of general surgery through nearly 1200 easy-to-follow anatomic drawings. Drs. Courtney M. Townsend, Jr. and B. Mark Evers present step-by-step guidance for common and complex procedures, including open and minimally invasive techniques. The highly consistent approach and oversized format allow for large educational illustrations with pearls and pitfalls at the end of each chapter. The comprehensive coverage includes hot topics such as Thyroidectomy, Parathyroidectomy, Hepaticojejunostomy, Choledochojejunostomy, Splenectomy, Hernia Repair, Exploration of Neck for Trauma, and Subclavian Artery Stab. You'll have a complete array of surgical procedures at your fingertips - in print and online.